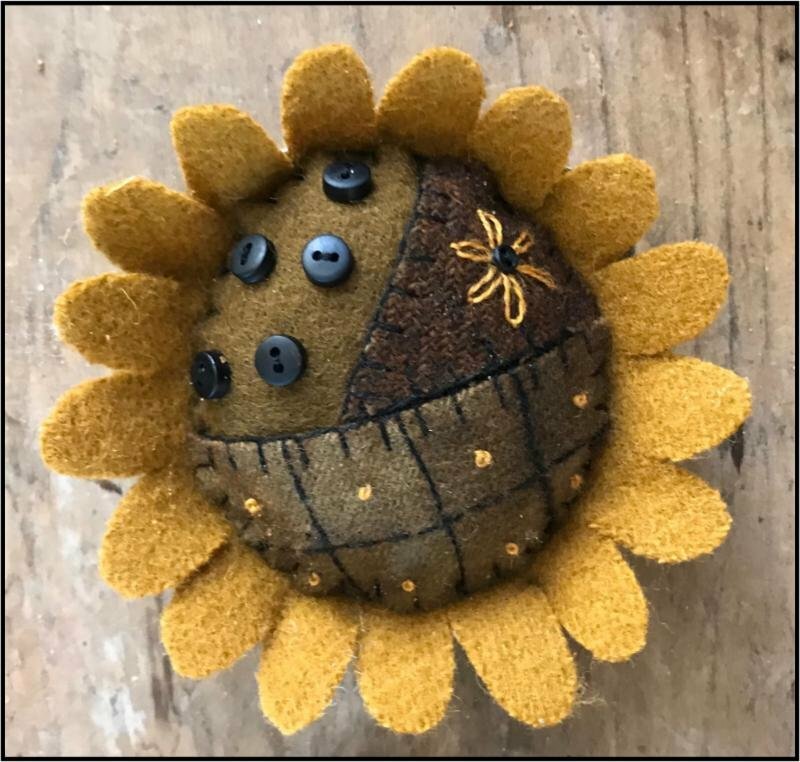 It's a wool sunflower pin keep in a tart tin. Kits include the tart tin, all wool, buttons and wool thread to make this fun quick project! Pattern is free to download only through July 30, 2018. Paper pattern is available for purchase.